Mariano Rajoy – Spains embattled prime minister reached out today in urging European leaders to agree at this week’s summit on “urgent” mechanisms to allow fragile and indebted European economies to refinance their debt on much more palatable terms and at the same time issuing a stark warning that his country would be unlikely to be able to sustain steep borrowing costs for much longer. This latest plea came about as the country’s central bank said that the euro zone’s fourth-largest economy is falling even deeper into recession and which is being exacerbated by the country’s sovereign borrowing costs which remain at near record-high levels and the all important 7% level that has triggered bailouts previously in Portugal and Ireland. With these comments, Mr. Rajoy becomes the latest in a series of European Union policy makers seeking to ratchet up the pressure on Germany – the EU paymaster, to do more to help cash-strapped economies. Spain’s borrowing costs have surged in recent weeks, and the country was forced to pay unusually high interest rates at a bill auction earlier this week. 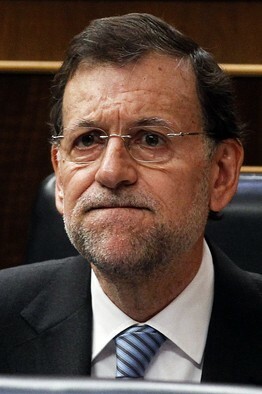 Mr. Rajoy said he would push for a euro-zone banking and fiscal union at a summit of European leaders on Thursday and Friday. But he added this wouldn’t be enough unless the currency bloc agrees on emergency steps to ensure Spain and other troubled economies maintain access to debt markets at reasonable costs. In a renewed sign of the economic distress Spain is experiencing, the Bank of Spain revealed today a continuation of the slowdown in economic activity and used the words “intensification” in the second quarter compared with the first. The economy in fact contracted at an quarterly pace of 0.3%. Consumer confidence has dropped further, car sales have tumbled, and retail sales fell by their fastest pace on record in April, the bank highlighted in its monthly economic report. On top of that, data for May from Spain’s National Statistics Institute showed Wednesday that retail sales have now contracted on the year for 23 straight months. In May, the decline in retail sales slowed to 4.9% on the year on a calendar-adjusted basis, compared with a 10% annual drop in April. But that magnitude of negative data still signals that consumer demand—for years the main source of growth in Spain—is at muted levels. An increase in borrowing costs accelerated after Spain agreed in mId-June to take a bailout of up to €100 billion ($125 billion) for its banking sector. Many economists are worried about the rise in Spain’s sovereign debt as a result of channeling the aid through the country’s own bailout fund. A growing dependence between the state and beleaguered banks is unsustainable, many economists say, pointing to direct EU fund injections into ailing banks as a possible fix—even though Germany and other northern countries oppose such a step. Late in the European morning, the yield on Spain’s benchmark 10-year bond was at 6.81%, down 0.04 percentage point from Tuesday’s levels, and just slightly below a decade-high hit earlier this month. The yield is more than five percentage points above that of comparable German bond – a clear sign that markets remain unimpressed with the current level of European measures to stem the crisis and contain the Sovereign credit risk in Spain.